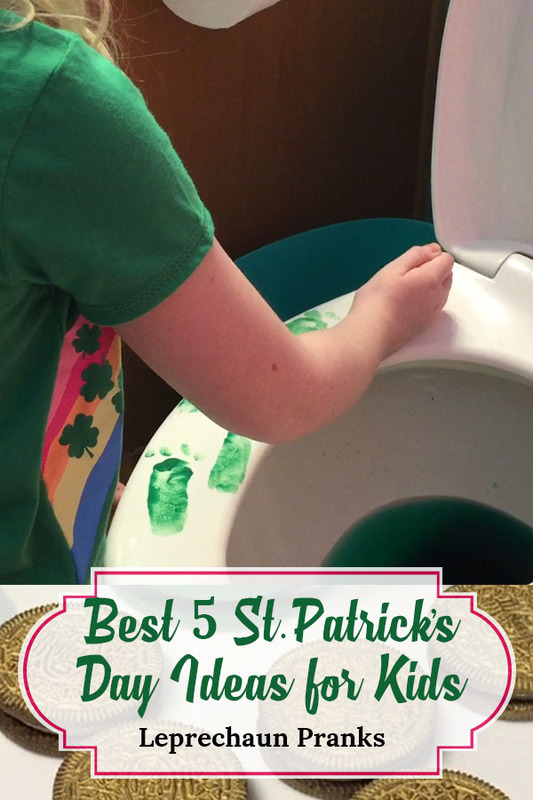 f you are looking to find some fun St. Patrick’s Day ideas for kids that you can do at home, you’ve come to the right place! St. Patrick’s Day is right around the corner and the little Leprechauns are feeling mischievous. 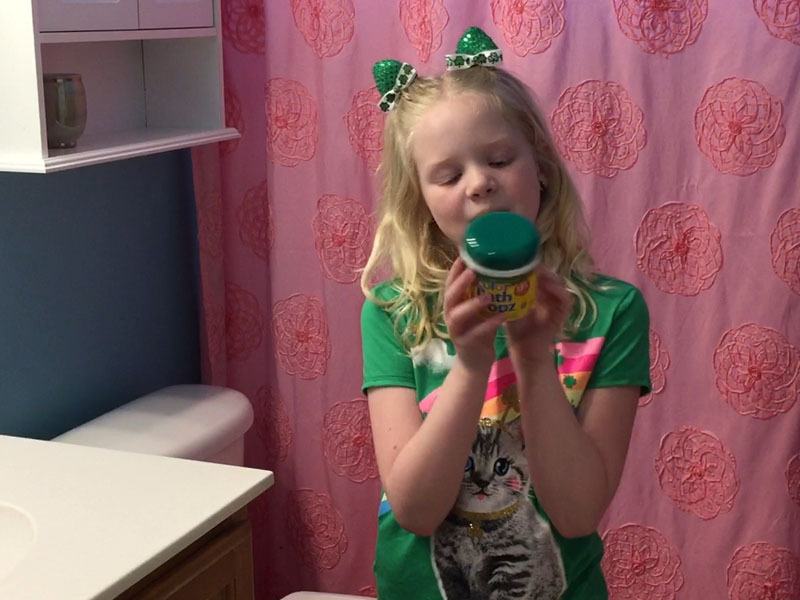 If you are looking to find some fun St. Patrick’s Day ideas for kids that you can do at home, you’ve come to the right place! The kids will be full of smiles to wake up and see Leprechauns have played a few pranks on them this year!! 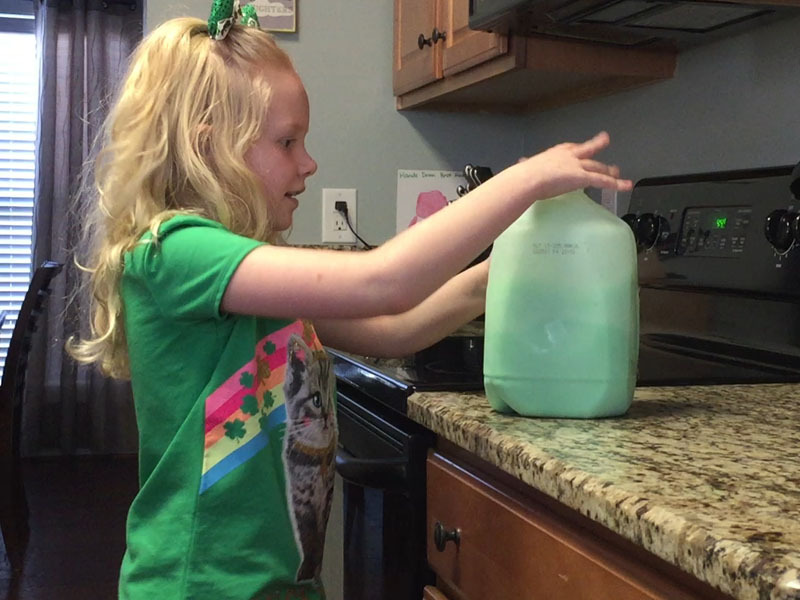 Using food coloring, turn the milk green. This one is easy, just a few drops in the milk and shake it up! 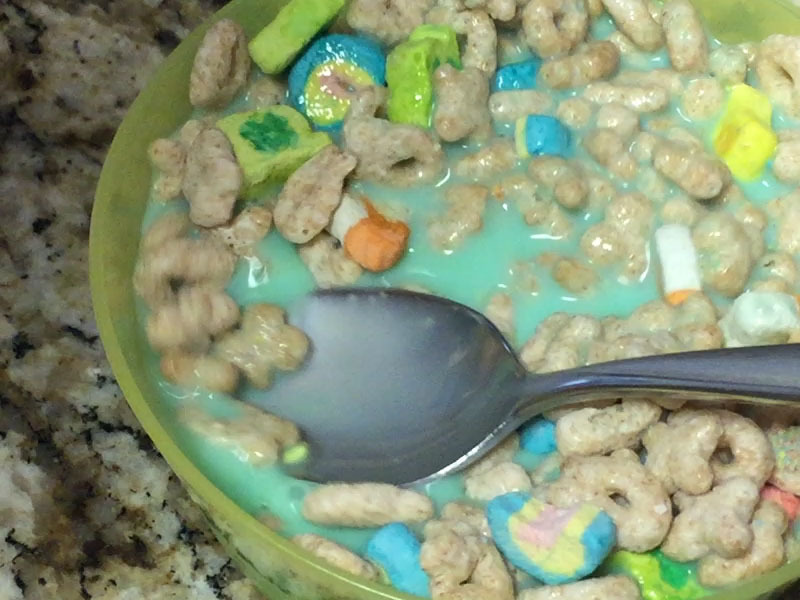 This will make it extra fun to eat their morning cereal of Lucky Charms! 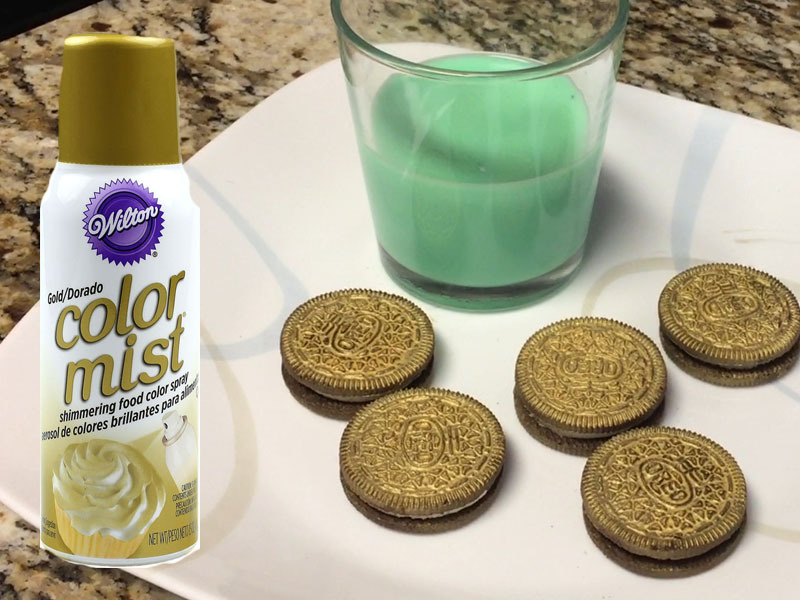 Using this edible gold color spray, or something similar, spray paint Oreo cookies to look like gold coins. You can put them back in the package or leave them on the table at snack time with a glass of green milk! Using these Crayola Color Bath Dropz, turn the water in the toilets green. You’ll mix the yellow and blue tablets together to get the green color. These colors are safe for baths so you can use them to turn the bath green as well and do not stain at all. Drop a few tablets in the tank of the toilet also and it will stay green through multiple flushes. Using this Crayola washable green paint, use the side of your hand to leave little Leprechaun foot prints around. After using your hand, use your finger to dab the toes on the foot prints. I have not tried this with other washable paints, but this particular paint, washes right off any surface. So get creative and leave Leprechaun foot prints all over! By using your hand to make the prints, it leaves realistic looking prints with the texture and everything! Leave a fun trap from your mischievous little Leprechaun for your kids to wake up to on St. Patrick’s Day morning. 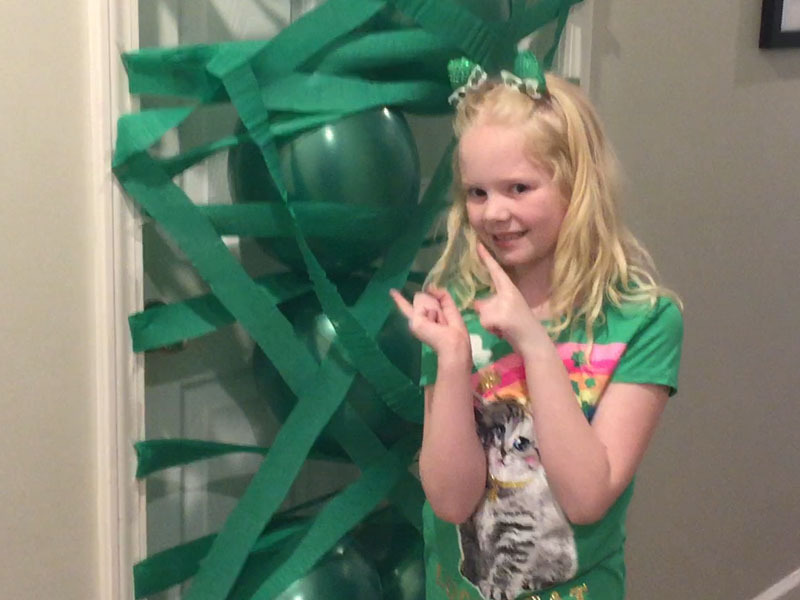 Using green crepe paper and green balloons, create a trap in front of your child’s door. Once you blow of the balloons, hold them to the door using the crepe paper. You will do this from the outside of their room. When your child wakes up in the morning, they will be greeted with a fun surprise! 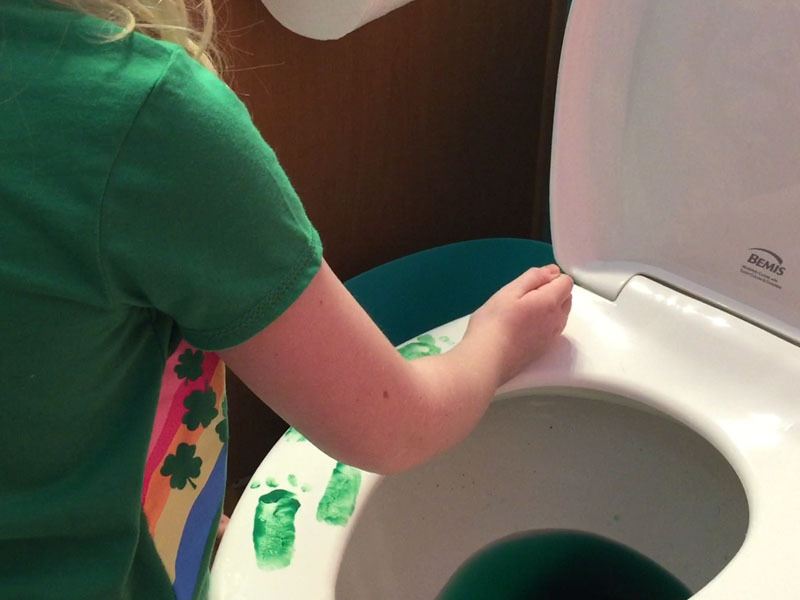 We hope you and your family with have as much fun with these Leprechaun pranks as we did! To see the pranks live in action, check out the video below. Wishing everyone a fun and exciting St. Patrick’s Day! Thats a whole lot of green. I usually only cook corned beef for my husband but I need to do the green milk. That sounds like a great dinner idea!! These are such adorable St Patrick’s day ideas. I particularly love the idea of turning the toilet water green – not just because it would give my husband a fright! 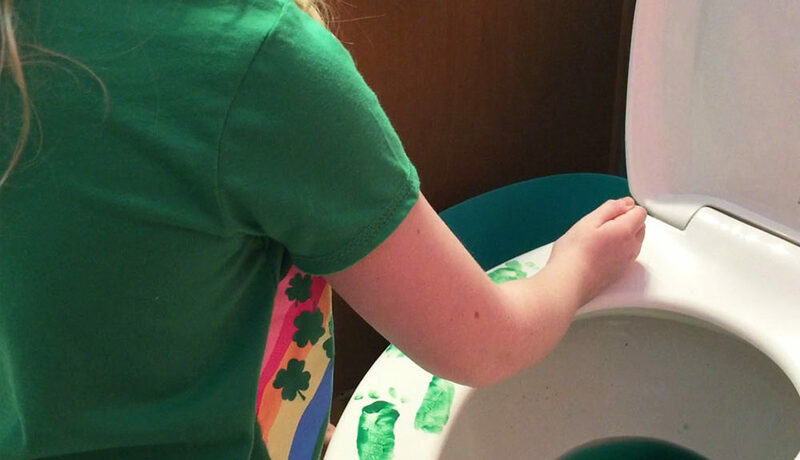 These look like really fun and exciting St. Patrick’s day ideas for your kids at home. I am going to have to give this a try. I can’t wait. These are some super cute ideas! Especially for the younger kids! My daughter would go crazy for those gold oreo cookies! Loving the colour mist, that’s what my son would really enjoy seeing being sprayed on cookies or biscuits. 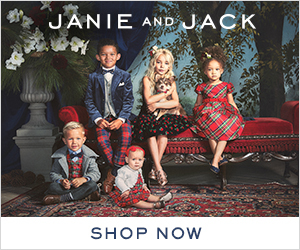 Such fun ideas for all of the family! I love turning the toilet water green! These are all such great ideas. Will share with my friends with kids as well as teachers! This is a fun idea to do for birthday mornings as well! What fun ideas! 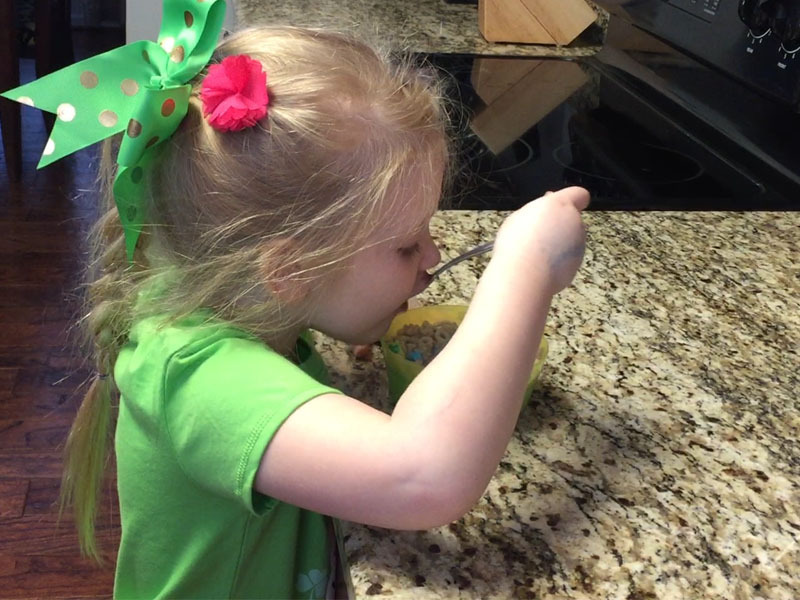 We usually don’t do too much, but we do love to eat the fun St. Patrick’s Day foods! I might have to make those Oreos. Such clever ideas! I particularly love the gold dust on oreos…my son would absolutely flip for those! What some fun ideas for St Patricks day! I would never have thought of these little things to do around the home to make it more fun. OMG these are so much fun!! I want to try all 5 ideas with my kiddos!! I love those gold oreos! What a great idea! They look super cool, but did have a funny taste from the gold spray unfortunately! Such fun ideas! Our way of celebrating St. Patrick’s Day are Shamrock shakes the whole month of March! Shamrock shakes the whole month sounds fun and delicious!! These are all such fun ideas! I am saving this for my friends with kiddos. These are so fun. It is good to explore the creative side of a child. These are some great ideas for St Patrick’s day. 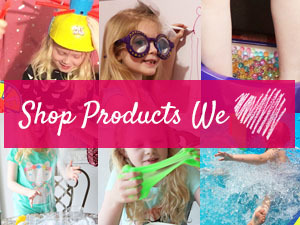 These fun and creative ideas are perfect for the lil ones. I loved the idea of the gold oreo cookies, my kiddos gonna love it. Now that is just fun. I had no idea they had edible spray paint. I need to get with the program and learn to make holidays fun. I love the milk idea too. You have some great iay for kids. I am sure the kids will be totally amazed to wake up to these treats. The green Oreos are so cool. Such cute ideas. My 4 yr old is just learning about it this year so this would be fun to try. St Patrick’s Day has a lot of awesome craft ideas. The kids love making all kinds of things. Wow. I love the green milk idea. It is so cute. These are fun St. Patricks day ideas. I don’t have kids but I have nephews and nieces so these are all fun! I never had these types of ideas when my kids were young but in hindsight I sure wish that I had. I love all of these ideas. 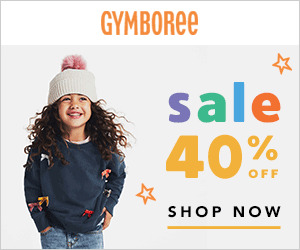 What fun ways to celebrate this holiday with the kiddos! Great ideas. We do not have kids in our household, however, the kid in me wants those washable paints! Love the idea of gold oreo cookies!! I love the edible gold spray paint for the oreos. That one would be fun to eat for St.Pattys day! My kids would enjoy any of these, I love the ideas. 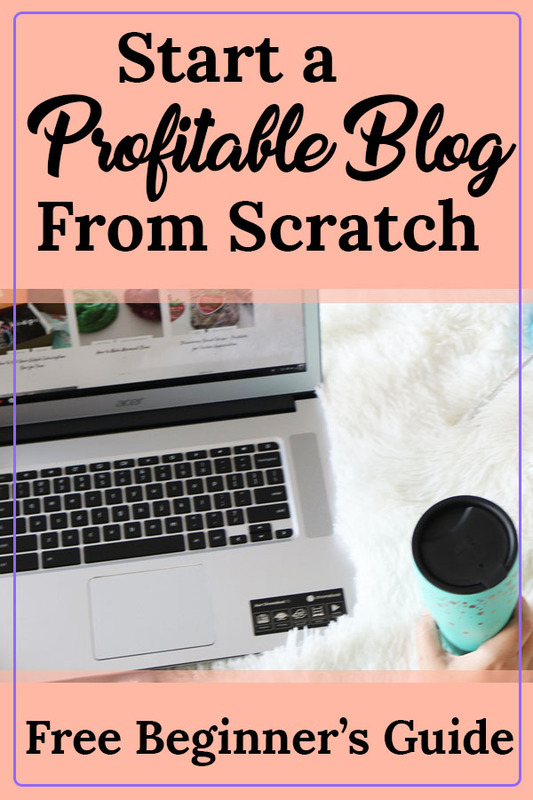 This is a super fun post. Thanks for sharing. These ideas look fun! I need to try the green milk and wait for everyone’s reaction when they drink it. This is some awesome ideas for children to be involved in St Patricks Day, thank you for the ideas, I will try some with my own grandchildren. The gold oreos are a great idea! My kids love oreos! These are all fun ideas for St. Patrick’s Day! 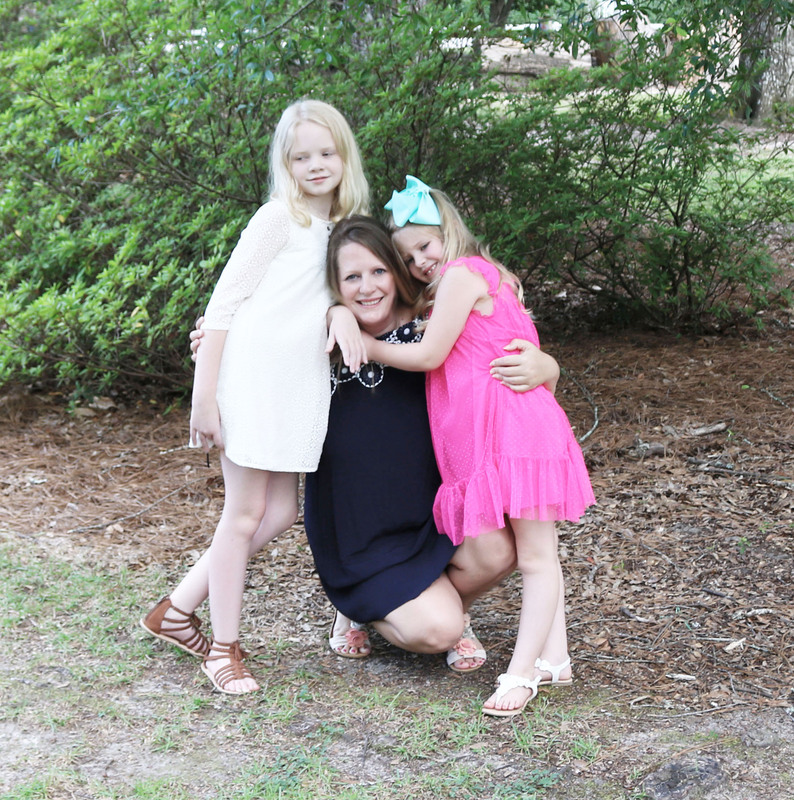 I am beginning to get Easter posts up! Hope we can inspire some fun ideas! In the age of electronic communications, birthday needs can effortlessly be shipped electronically. Playing cards can be despatched electronically, or greetings can be despatched via e mail, textual content messages or updates on social networks. Great ideas, I’m definitely giving my girls green milk for their breakfast. 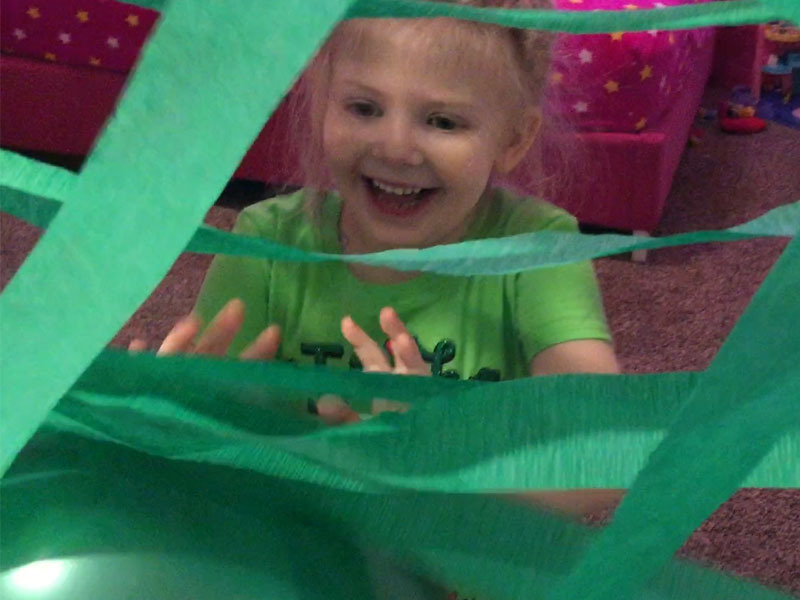 I love the leprechaun footprints and the streamers!